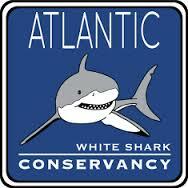 Yesterday we met with Cynthia from the Atlantic White Shark Conservancy. This non profit helps raise money to fund the research and tagging of white sharks in our waters. Did you know that it costs upwards of $4000/day to run the tagging boat and the spotter plane? The state doesn’t pay for it.